Forgiveness is our ministry theme for October. This is a sermon about forgiveness. I’ve given it the title, “Falling,” mainly because autumn has come to New England, the leaves are changing and beginning to fall, and I’ve been caught by the notion that the act of forgiving someone who has wronged us requires us to let go of something; to let go like leaves and fall; to let go like leaves and fall and trust that we will land where we need to be. There are many metaphors that will work in addition to falling. All morning we’ve been singing those words from Rev. 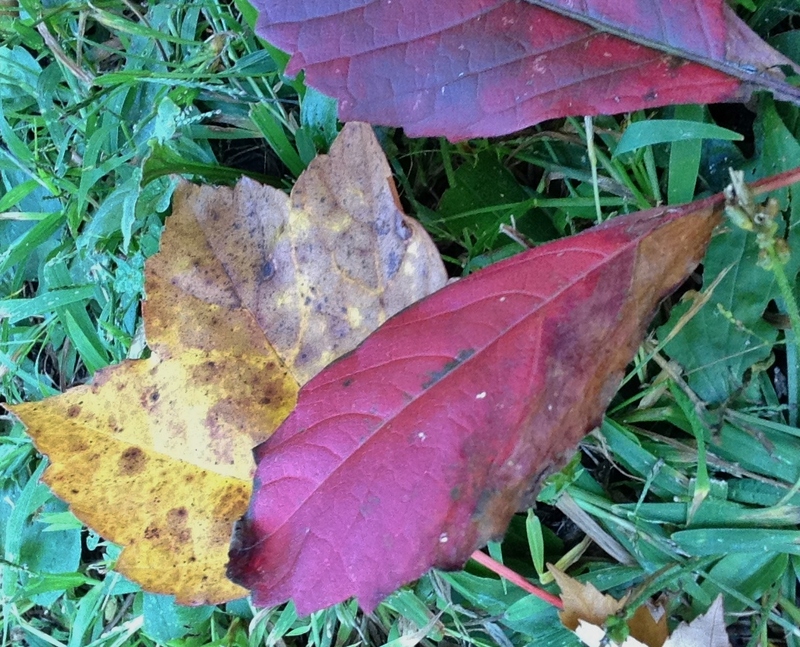 Raymond Baughan: “Turn scarlet, leaves.” The act of forgiving someone who has wronged us requires us to turn; to turn away from something; to turn away from something that has been holding us, constraining us, defining us—some hurt, anger, distrust, fear, self-pity, self-righteousness, pride. To forgive someone who has wronged us requires us to turn away, to turn toward something new—often something unknown—and to trust we are turning in a good direction. We might add tumbling to the list. We sang Rev. Baughan’s words, “Tumble the shadows into dawn / The morning out of night.” Perhaps forgiving is akin to tumbling—to leaving the solid ground we’ve been occupying; hoping and trusting some new ground will form beneath us, hoping and trusting we will land well. Falling, turning, sinking, dropping, quieting, letting go, surrendering, tumbling. Many words work. This morning, falling. If we are to forgive those who have wronged us, something must fall. The impact genuine forgiveness has on our lives is well-known: it makes us free. Let’s remember this. Our national culture, at its worst—meaning not all the time, but increasingly—is becoming less forgiving, more tolerant of and comfortable with un-checked and unbridled anger, more content with broken relationships remaining broken, more quick to judge, more quick to assume the worst, more quick to lash out, more quick to publically shame. And public apologies, if they come at all, are shallow, worded to avoid responsibility for wrongdoing, and thus they don’t readily invite forgiveness. Ours is a ‘gotcha’ society, a litigious society, a road rage society, a mass incarceration society, a mass shooting society. The more familiar and habitual these trends become, the more we let them become the status quo, the less free we are. Something must fall. Last July I had the honor of participating on the National Public Radio show “On Point.” The show was about religion in the public square. The topic of forgiveness came up in response to the way some of the family members of those killed in the June 17th mass shooting at Charleston, South Carolina’s “Mother Emanuel” African Methodist Episcopal Church publically forgave the shooter. The quickness with which these family members forgave was puzzling to many people. One of the panelists on the show, Rev. Delman Coates of Mt. Ennon Baptist Church in Clinton, MD, responded, “Many people think that [to forgive] means to absolve the offender. But the word ‘to forgive’… is also about releasing the self from the pain, from the action that was committed by the other person…. When I hear people saying that they forgive … they are going to release themselves from … the desire for vengeance that can actually creep into one’s heart.” I don’t pretend to know why or how those family members were able to utter words of forgiveness so quickly after such a monstrous crime, but I think Rev. Coates is correct: they did not want their lives to become defined by overwhelming anger, bitterness, and a desire for vengeance. They wanted release. They wanted to determine the values that would guide them through the chaos. They wanted emotional and spiritual freedom. I also suspect they offered forgiveness not to announce they had completed a process of forgiving, but that they had begun. Forgiveness is a practice, and this would not be the last time they would say those blessed words. But how? I can hear many of you, over the years—and me too—saying “I understand forgiveness brings freedom, but understanding the outcome isn’t the same as getting there. How do I actually get there?” “I’m so mad, I’m so hurt, I feel so betrayed. How can I forgive?” Or, “I want so much to not feel this anger and pain anymore, but it won’t leave me, it won’t be gone, it won’t get behind me.” Yes, there is freedom on the other side of forgiveness, but the chasm between that freedom and the experience of being wronged can feel so vast, can feel—for years, for decades, for a lifetime—unbreachable. Something must fall. What if I told you that leaves are always falling, that falling is their natural state? We don’t notice them falling in spring and summer because they are firmly attached to their branches, but without that attachment, and without the ground on which to settle, they would keep falling and falling and falling in every season. What if I told you that even once they settle on the ground, that settling is just an illusion? The falling continues as gravity pulls their decaying fibers down into the dirt, into the dust, into the muck. The pace of the falling slows greatly once they reach the ground, but it continues even after nothing resembling a leaf remains. And what if I told you the same is true for us, that without this floor, without the ground, we too, like leaves, would fall and fall and fall? Over the eons, as living creatures, we have adjusted well to the presence of solid ground—we have learned to trust that the earth’s surface more or less holds—but what if I told you that falling is our natural state? You might say that’s silly, not helpful, but take the ground away, and you know as well as I: we’ll all fall. You might also say, “that’s a very astute observation, Rev., but even so, we have to hold onto something. We can’t live if we’re falling.” That’s true. We need solid ground in order to live. We need flat, even surfaces for walking, running, rolling, driving, dancing. We need chairs to hold our weight as we sit, tables to hold our food as we eat, desks to hold our computers as we work. Most of us lay down on mattresses to sleep. These are the physical handholds, footholds and body-holds that keep us from falling through life. They are more or less reliable. But not all of the things we hold onto are physical. Some are emotional and spiritual. On our best days, we hold onto positive emotions—what makes us feel happy and joyful, content and fulfilled? What makes us feel enthusiastic and excited or calm and serene? If we can have the experiences that create these feelings in us, and then hold onto them, we won’t feel as if we’re falling. We’ll feel stable, steady, solid. But here is the key to forgiveness: not all emotional and spiritual handholds are positive or pleasant. Some are negative and quite unpleasant, but we reach for them too. We use them to stop falling too. Sometimes we hold on tightly to the experience of being wronged. The thoughts and feelings that spin out from that experience become our thoughts and feelings. They take hold in our bodies. They become habitual. Sometimes they become so familiar to us that we aren’t sure who we are without them. The same is true for the experience of betrayal, of being victimized, harmed, oppressed, let down. Thoughts and feelings spin out from these experiences: we want the wrong-doer, the offender, the perpetrator, the betrayer to feel pain as well; we want them to feel remorse, guilt and shame; we want them to be punished; we want vengeance. We typically don’t like it when we think and feel this way. It isn’t how we imagine ourselves thinking and feeling. But these are real thoughts and feelings, and we have them. Sometimes we keep coming back to them. They become our solid ground. They anchor us. We return to them habitually—and with good reason: they, too, keep us from falling. No wonder genuine forgiveness is so difficult. In order to forgive we must somehow move off the solid ground of our pain, off the solid ground of our desire to punish, off the solid ground of our anger. In order to forgive we must let go of our hold on these things. We must let go and fall and trust that we will land where we need to be. How do we do this? Practice. In her short book, Practicing Peace in Times of War, the American Buddhist nun, Pema Chödrön, writes about shenpa, which commonly translates as “attachment,” but which she describes as “getting hooked.” She says “Somebody says a harsh word and immediately you can feel a shift. There’s a tightening that rapidly spirals into mentally blaming this person, or wanting revenge, or blaming yourself. Then you speak or act. The charge behind the tightening, behind the urge, behind the story line or action is shenpa.” Chödrön isn’t writing about forgiveness per se, but I suspect shenpa functions as an impediment to forgiveness. We can become hooked on our victimization, on our pain, on a desire to punish, on a desire for vengeance, on anger. The sense of self-righteousness that can flow out of these feelings is very powerful, very addictive. We get high from it—high both from the emotional rush of false power it provides, and from the way it allows us to place ourselves above the wrong-doer, to believe we are better than they. So, forgive? Not easy when we’re hooked on pain and anger. For Chödrön, the practice of meditation overcomes the effects of shenpa. Meditation, she says, “teaches us to experience the uneasiness [of shenpa] fully [and then] to interrupt the momentum that usually follows. We do this by not following after the thoughts and learning to return again and again to the present moment.” She tells us to let the thoughts and feelings arise—because they are real. Let them come … but don’t follow them. Instead, let them dissolve—because eventually they will. She says: keep coming “back to ‘right now,’ even when ‘right now’ doesn’t feel so great. This is how we learn patience, and how we learn to interrupt the chain reaction of habitual responses that otherwise will rule our lives.” “What happens when you don’t follow the habitual response?” she asks? “Gradually you learn to relax into the shaky, impermanent moment.” Or to use my language, gradually, you learn to fall. When we’re no longer holding on, we’re falling. Rev. Belletini might call it floating. Meditation, we know, is not for everyone. There are other ways to practice. I imagine very simple prayers: If I am angry, then may I feel anger. But let me not follow it. Let it not define my life. If I am in pain, then may I feel pain. But let me not follow it. Let it not rule my life. If I am vengeful, then may I feel vengeful. But let me not follow it. Let it not become the master of my life. I am convinced this is what the family members of the Mother Emanuel victims were doing when the offered forgiveness to the shooter. They were practicing not holding onto pain, anger and vengeance. So practice. Practice not following the negative thoughts and feelings. Slowly, slowly, slowly their power over you will wane. Slowly, slowly, slowly you will begin to let go. Slowly, slowly, slowly you will fall. As you fall, the deeper truths of your life—and of living—will shine all around you. Forgiveness will come. Freedom will come. Those words we heard earlier from Rev. David Breeden may make more sense now: “I dug and dug / deeper into the earth / Looking for blue heaven / Choking always / On the piles of dust rising / Then once / At midnight / I slipped / And fell into the sky.” Slowly, slowly, slowly, it will come. May each of us, when we need it, learn to fall. Baughan, Raymond J., “Turn Scarlet, Leaves,” Singing the Living Tradition (Boston: UUA and Beacon Press, 1993) #485. Belletini, Mark, Sonata for Voice and Silence (Boston: Skinner House, 2008) p. 23. “Politics, Tragedy and Religion in the Public Square” On Point, July 6th, 2015. See: http://onpoint.wbur.org/2015/07/06/god-public-life-united-states-scotus-charleston. 21:00. Scovel, Carl, “The Gift of Forgiveness,” Never Far From Home: Stories From the Radio Pulpit (Boston: Skinner House, 2004) p. 131. Tyger, George, “Forgiveness is Human,” War Zone Faith: An Army Chaplain’s Reflections from Afghanistan (Boston: Skinner House, 2013) pp. 73-74. LeSure, Jeannette, “Forgiveness: Freedom to Fly,” a sermon delivered to the Unitarian Universalist Society: East, Manchester, CT, October 4, 2015. Unpublished. Chödrön, Pema, Practicing Peace in Times of War (Boston: Shambhala, 2006) p. 56. Chödrön, Pema, Practicing Peace in Times of War (Boston: Shambhala, 2006) p. 59. Chödrön, Pema, Practicing Peace in Times of War (Boston: Shambhala, 2006) p. 63. Breeden, David, “Falling Into the Sky,”eds., Janamanchi, Abhi and Janamanchi, Abhimanyu, Falling Into the Sky: A Meditation Anthology (Boston: Skinner House, 2013) p. 1. UUS:E’s minister, Rev. Josh Pawelek, had the privilege of being a panelist on National Public Radio’s “On Point” program, Monday morning July 6th. Listen to the podcast here. The show was entitled, “Politics, Tragedy and Religion in the Public Sphere.” It was guest-hosted by Michel Martin. UUS:E’s minister, Rev. 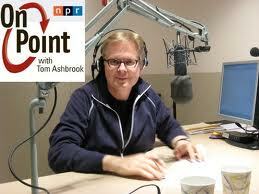 Josh Pawelek, appeared on National Public Radio’s “On Point” with host, Tom Ashbrook, on Thursday, December 12th, at 10:00 AM. The show focused on the one-year anniversary of the mass shooting at Sandy Hook Elementary School in Newtown, CT. I found Colin McEnroe’s editorial in the Hartford Courant this weekend very moving. He was reflecting, one week later, on the December 14 tragedy in Newtown. He said, “If there’s an elixir, some potion we can drink, it’s almost certainly love. Right? Love is the only possible bright sparkling rope bridge we can clutch as we stutter-step through the dark universe. “What a joke,” he goes on. “Our only good piece of equipment is love, the thing we fail at so often. We’ve been talking all week about weapons, but our only sure-fire weapon against chaos and nothingness is love…. 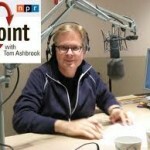 Many of you know this past Friday I had the honor of participating in Tom Ashbrook’s National Public Radio On Point conversation about the spiritual challenge of Newtown. I believe Tom Ashbrook is a hopeful person, a positive person. But I also know that he, like all of us, was shaken to his core by this tragic event; and he wasn’t going to let his guests off easy. He wasn’t going to let us simply proclaim, “we should be hopeful.” He really wanted to know why. Given what we’ve witnessed, why should we be hopeful this holiday season? And how? How can any of us justify a feeling of hopefulness after this? I suppose I ought to add: given all of it—given a culture of violence and crass materialism; given our national addiction to militarism; given our political polarization; given racism, classism, homophobia; given homelessness and poverty; given all the ways in which we are isolated from one another, separated, fragmented, alienated; given pervasive loneliness; given all of it, how can we justify an attitude of hopefulness? That’s what I was hearing Tom Ashbrook ask on the radio Friday. It’s a fair question. And I suppose it’s the ultimate question any person of any kind of faith whatsoever is challenged to answer: why hope, when there is so much around us that says, again and again and again, there’s no reason to be hopeful? But I do think we can change it. I really do. I don’t know exactly why I think this. If I did, I suppose I would have my answer to the question, Why be hopeful? Maybe it has something to do with the fact that our ancient ancestors learned to trust that the sun would return at the darkest time of year. Maybe it has something to do with the way a candle flame looks in the darkness—small, thin, even frail, but beautiful and heart-warming nevertheless. Maybe it has something to do with the grandeur of stars in a cold winter night sky. Maybe it has something to do with the ways people come together in the aftermath of tragedy, holding each other, supporting each other, bearing witness to suffering. Maybe it has something to do with the little kindnesses people seem to offer each other, over and over, in a million different ways. And maybe it has something to do with our capacity for love, this “joke,” says Colin McEnroe, this “thing we fail at so often,” yet this thing which is our only “sure-fire weapon against chaos and nothingness.” Time and time again, in the midst of pain and suffering—not always, but often—people find ways to love one another. As selfish and mean-spirited as we humans can be, we are capable of incredible love. I don’t ignore the mean-spirited part—I know it’s real; I just choose, most of the time, to focus on the love part. Colin McEnroe said, “I don’t know what comes next. But I am reminded to love.” It may not be a good answer or even a sufficient one, to the question, “Why be hopeful?” It may be a naïve answer. It may even come across to some as a weak answer. But for me it’s the answer that makes sense. It’s the only reasonable answer to an otherwise violent and chaotic world. This is what I know: Love comes into world, again and again and again. It comes as a new-born baby, and it comes in the wise eyes of our elders. It comes with angels singing proclamations of peace on earth and good will to all, and it comes silently, a hand held in the midst of grief. It comes with gifts from wise men. It comes with Herod’s soldiers breathing down its neck, hoping to destroy it. It comes despite our best efforts to thwart it. It comes when we don’t think we’ll ever find it. It comes sometimes because we seek it out. It comes sometimes when it wasn’t what we were looking for. It comes sometimes in strength and abundance, and sometimes it comes thin and fragile. Sometimes it makes all the difference and we can say with confidence, “love wins.” Sometimes it loses and at least for a time, hope disappears. But love keeps coming, like the returning sun at midwinter. It keeps coming, like stars in the night sky. It keeps coming, like one small candle lit against the darkness. It keeps coming. And I, for one, am hopeful. I hope you are too. Love keeps coming. My prayer for each of us this evening is that we encounter love, and that we rediscover, even if we’re not sure why, our reasons to hope. Merry Christmas. Amen. Blessed be. Mr. McEnroe’s editorial is at http://www.courant.com/news/opinion/hc-op-mcenroe-so-that-1223-20121221,0,5527899.column.